Manchester United boss Jose Mourinho has hinted that the club could pursue a player from Brazil during this summer’s transfer window. The Red Devils presently have no recruits that represent the South American country and this has intensified the speculation over the club’s future transfer business. 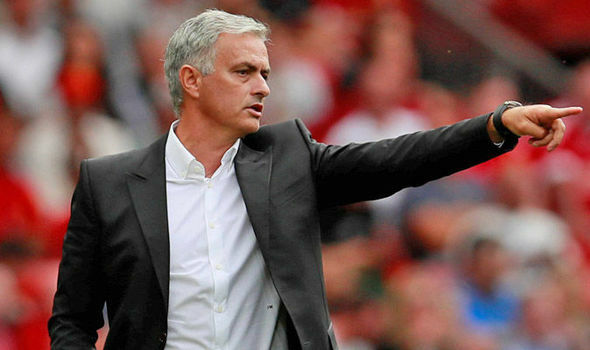 Speaking in his weekly press conference, Mourinho suggested that ‘a team without a Brazilian is not a team’ but he went on to dismiss the club’s chances of signing Willian from Chelsea during the summer. Obviously, Willian has constantly been linked with a reunion with Mourinho in the Premier League but the Portuguese tactician has now poured cold water on any gossip regarding the attacker. Regardless of this, the likes of Fred and Alex Sandro have also been on United’s radar of late and Mourinho could be tempted to recruit at least one of the pair during the off-season. Fred, who is a central midfielder by trade, has been earmarked as a probable replacement for Michael Carrick with the veteran due to conclude his playing career in the summer. Meanwhile, Sandro could emerge as the ideal candidate to occupy the left-back position next term with United looking into a competitor for Ashley Young, who has entered the twilight of his career.